Katie Counts, a junior at the University of Alabama, has some great advice at the end of her blog! 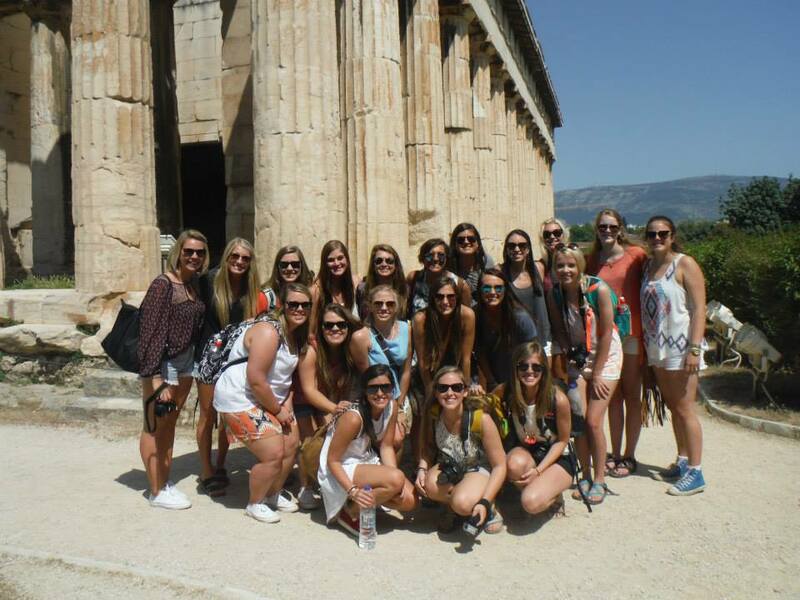 Be sure to read how she’s soaking in everything she can learn while in Greece! Learning has always been one of the most important things in my life. I was that weird kid who loved school and was constantly on Google trying to answer all of the 14 zillion questions that I always have running through my mind. My favorite type of learning by far though is the special kind that you only get when you fully immerse yourself into an activity or a place. That’s why I jumped at the opportunity to come to Athens. I love mythology and everything that comes with it including understanding the ancient culture. Before I came to Athens, I thought I had a general understanding of what the Ancient Greek culture was like. I knew that they believed in the gods to explain everything that goes on in nature and I knew that they were the first democracy and I knew that everything that they did shaped our modern culture. But seeing the Acropolis up close changed everything I thought I knew about the Ancient Greeks. Describing the feeling I had when I walked through the gates for the first time is nearly impossible because I felt so many things. So I took a breath, listened to our tour guide Nikos talk about the genius architecture of the Parthenon, and then I went and sat down and tried to comprehend everything that went onto building the amazing structure. While I sat there I pretended to be an Ancient Greek and I learned that they were a proud and strong and faithful and determined people that really did rule over the ancient world with their strength and beauty. I came back to the modern world for a group picture and realized how important it is to translate the qualities and values that you see have worked in these wonderful ancient civilizations into everyday life. If I could do one thing with this blog it would be to encourage people to never stop learning and traveling and to experience the world for what it is and what it was.